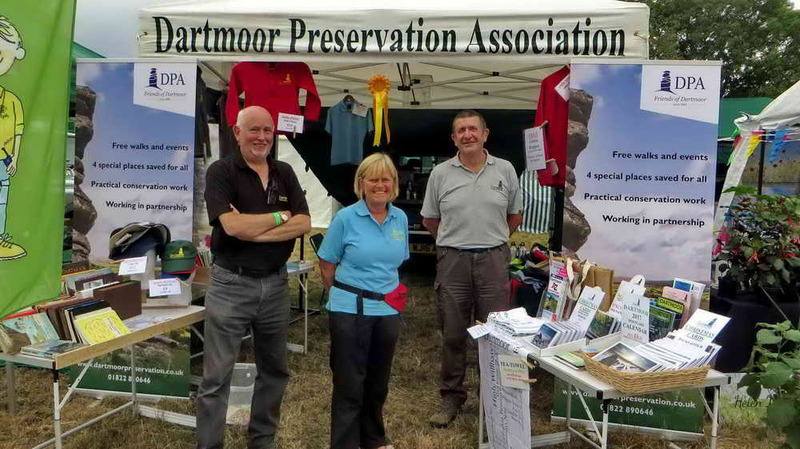 The DPA team sallied forth again on Thursday 18th August to the north-easterly quarter of the moor to entice locals and visitors alike into taking an interest in the aims and objectives of the DPA – Friends of Dartmoor since 1883. 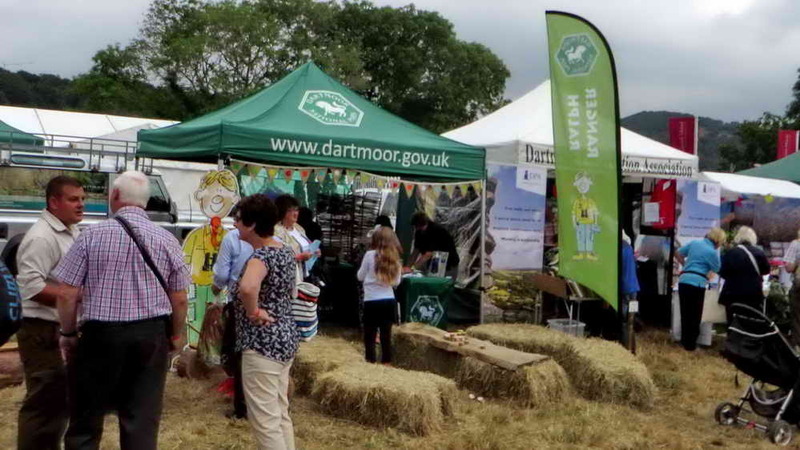 The DPA team at Chagford Show. 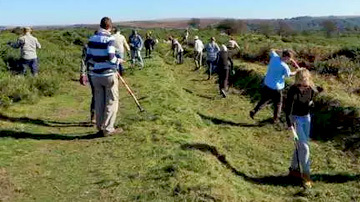 The team on this occasion consisted of Phil Hutt (DPA Director), Sylvia Hamilton, Derek Collins and Keith Ryan. 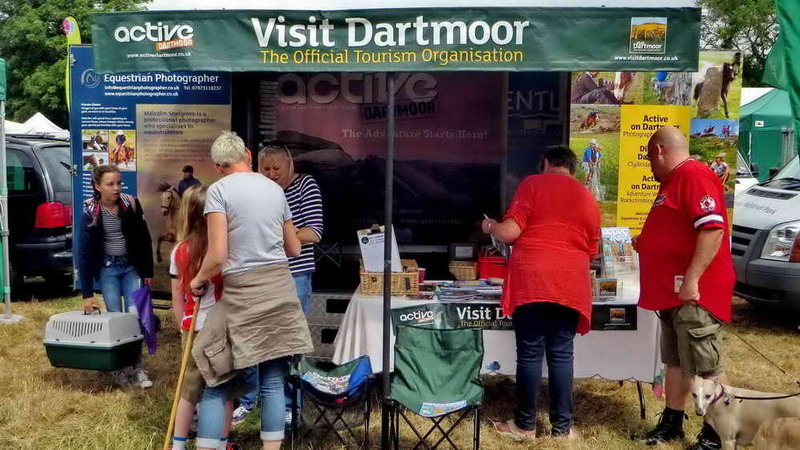 This time we were using our own DPA gazebo as opposed to being in a big marquee as we were at the Dartmoor Folk Festival at South Zeal. 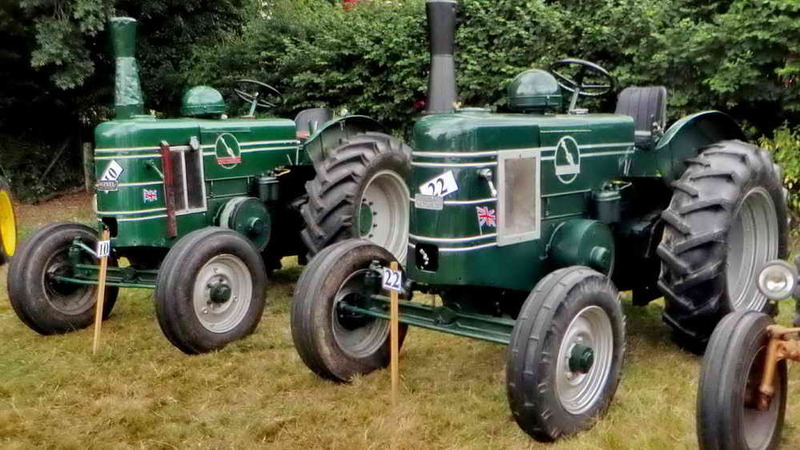 Once again, we were awarded a 3rd place rosette in the ‘Trade Category’ for our efforts in trying to look appealing to the show judges! 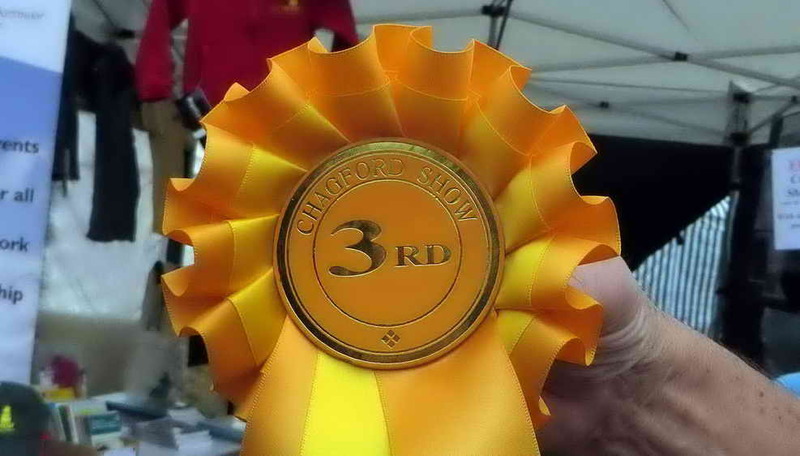 We have had a rosette at a previous show, so we must doing something right! I rarely seem to take photographs of ourselves while we are working so the ones that follow are taken during a stroll while ‘on break’, of things that catch my eye.. The sheep were seen in an adjacent field during a quick look next door, so to speak. 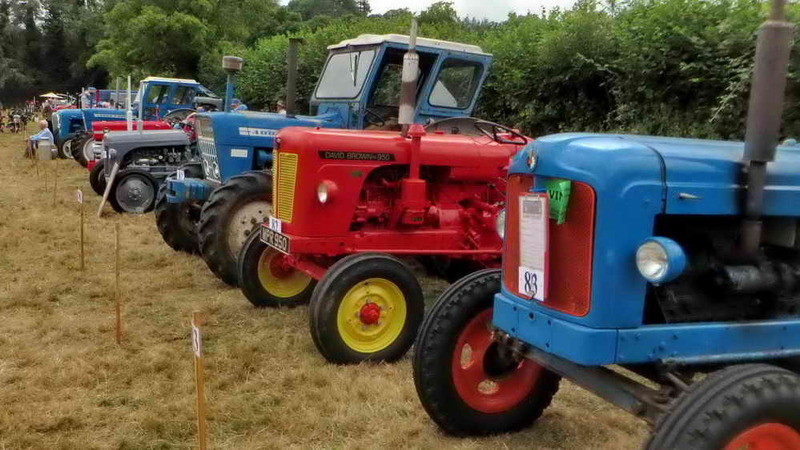 The show actually occupies three fields and when I arrive for duty, I invariably walk around all three at this show looking for the gazebo! 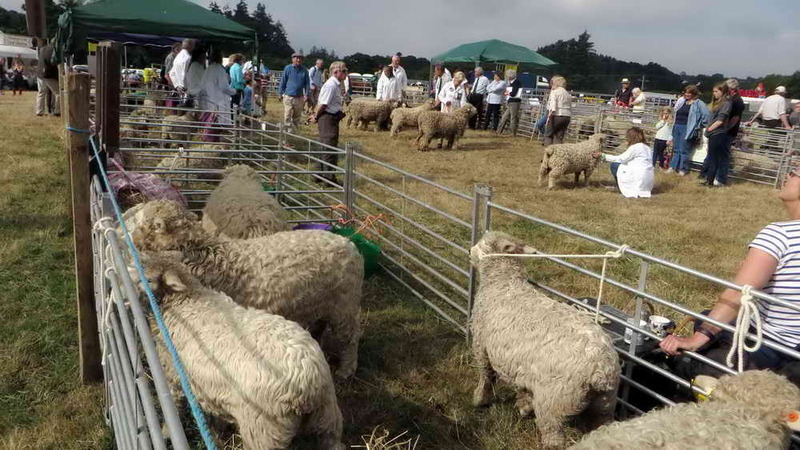 I think the sheep are possibly Dartmoor White Face – I should remember to ask the people with them. One can take folders full of show animal photos if so inclined. 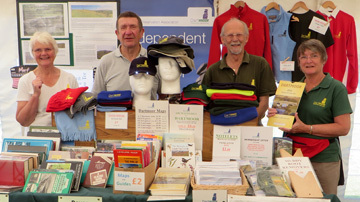 It seems that we are often put next to the DNPA stand by the show organisers. 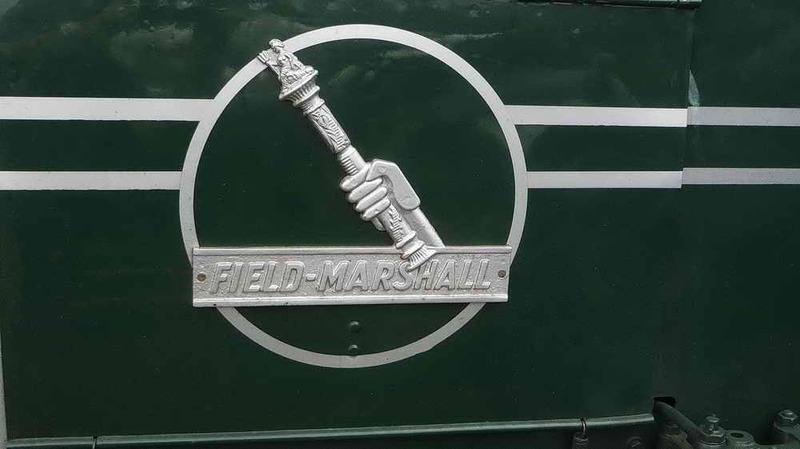 This is no bad thing – except that we never seem to get to taste the hot marshmallows that they make throughout the day! 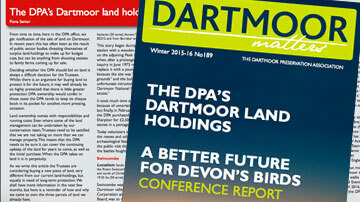 Visit Dartmoor is a stand that we see at probably every show that we attend, they seem to make every effort to do what they ‘say on the tin’. 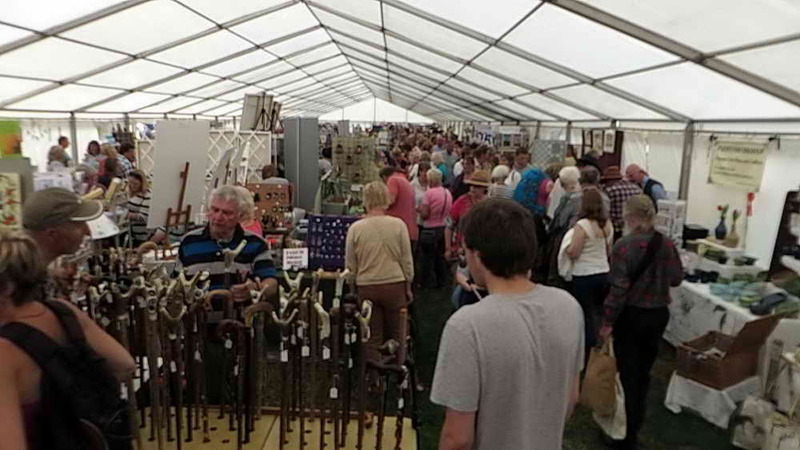 The layout of the show in our field is typically a layout of stalls arranged in long aisles. 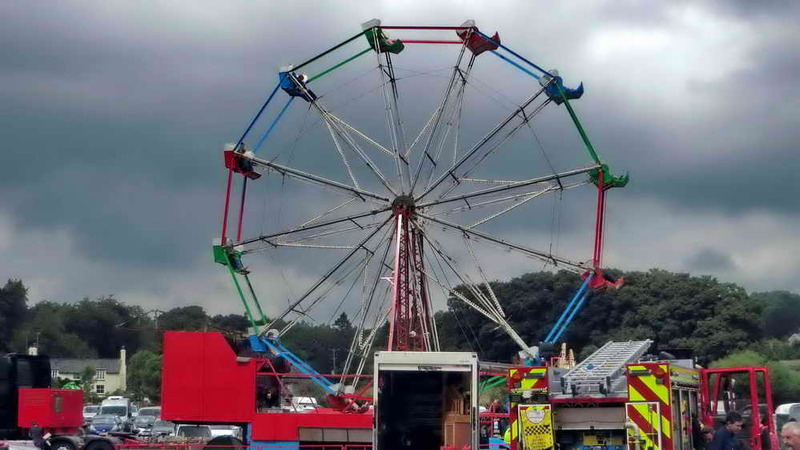 The most obvious thing to see while walking around is the big wheel, accompanied by the shrieks of its riders. The last time I was on one was about forty years ago with our young son, on Plymouth Hoe. Afterwards, I sat down for about twenty minutes! 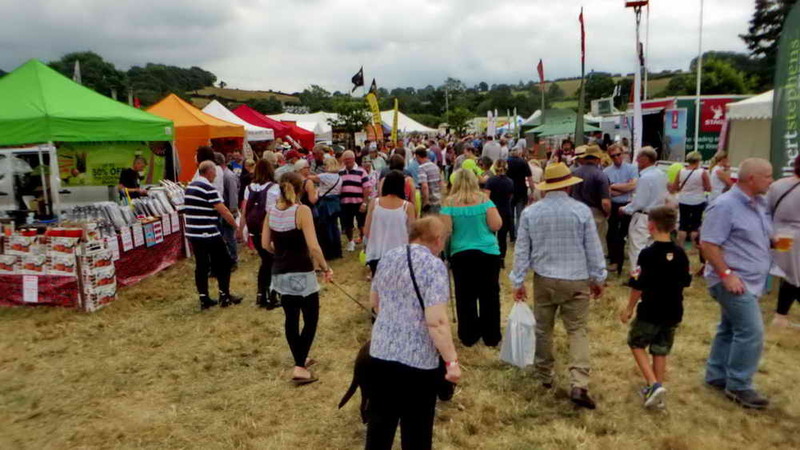 There is always a lot to see at the Chagford Show and the Craft & Lifestyle marquee is always busy, if you can get in! 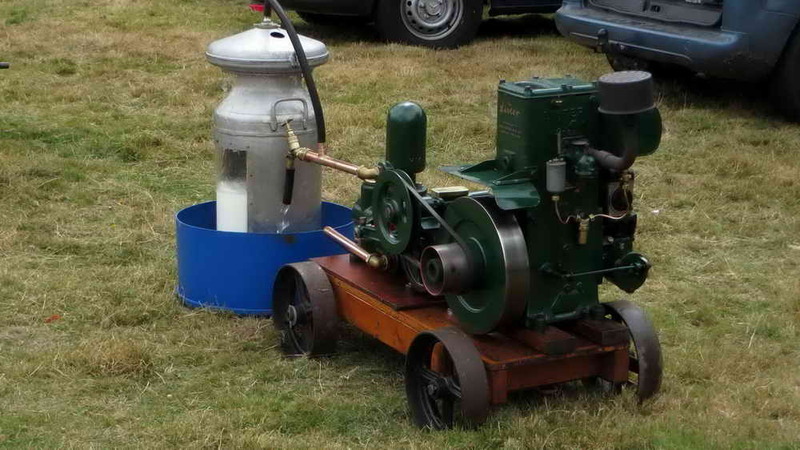 A small engine providing power. 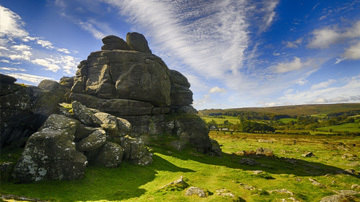 The small engine above was providing energy via its belt to stir – possibly used for churning milk into butter originally? 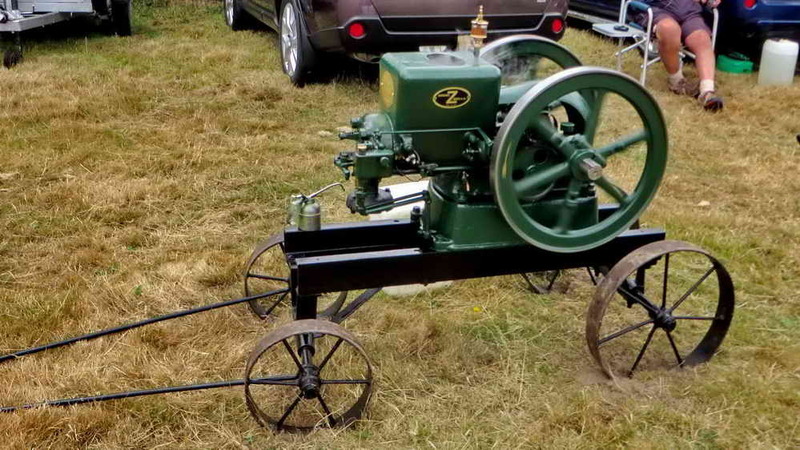 A Fairbanks 3 HP engine. 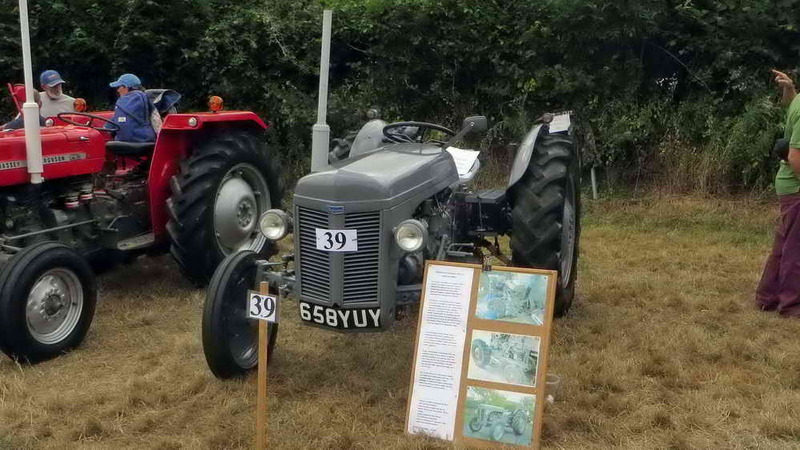 I remember driving my Uncle’s Ferguson during the harsh winter of 1962/1963 while he scattered hay to the cows in a field because of the deep snow that we had in West Cornwall. It is not difficult to guess what catches my eye!